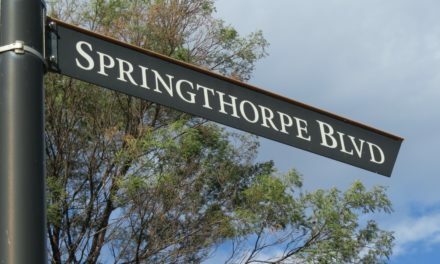 The Wurundjeri people (Woi Wurrung language group) were the original inhabitants of the area where the Springthorpe Estate and La Trobe University are now situated. 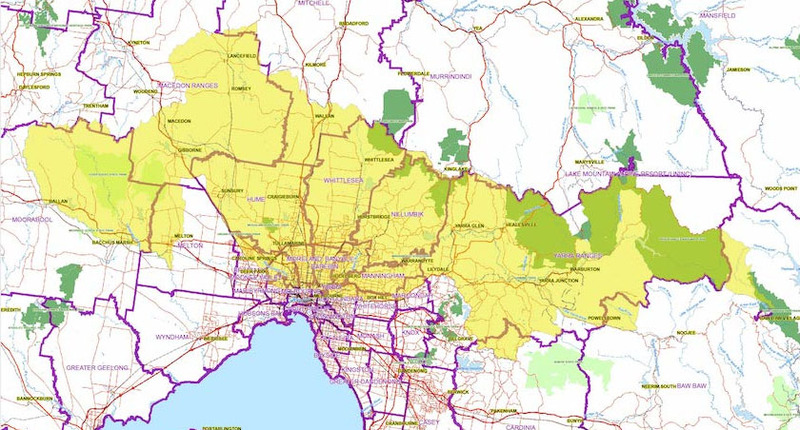 Their territory extended west to the Werribee River, north-west to Mount Macedon, east to Mount Baw Baw, north to the Great Dividing Range behind Healesville, south to the Mordialloc Creek and resides on the northern boundaries of the swamp lands of Koo Wee Rup and Carrum Carrum (Bill Nicholson Jnr., Wurundjeri traditional owner). Their ownership extended to both the land and the waterways. They had lived in the area for 40,000 – 60,000 years. During this time there were large changes to the landscape, including an ice age, volcanic activity, the extinction of some megafauna and the rising of the seas, which flooded coastlines, forming Bass Strait and Port Phillip Bay 9,000 years ago. Oral histories and creation stories from the Wurundjeri describe the flooding of the bay (Broome, 2005). Aboriginal artefacts have been found with traces of blood and hair from the megafauna species, suggesting that some of the megafauna were still in the area when the first Aboriginal people arrived and they may have contributed to their extinction. http://austhrutime.com/marsupial_megafauna_extinction.htm Large wetlands existed in the area and provided a plentiful supply of edible plants, eels, freshwater mussels and fish, animals and birds. When the rivers flooded, the Wurundjeri would move to higher ground, including Mount Cooper which was an important ceremonial site and camping ground. The silcrete outcrops were used to make stone tools. Silcrete is mainly quartz and distinguishable from flint material. Scarred trees throughout the area show evidence of bark removal for containers, roofing materials, canoes and shields. The Wurundjeri people take their name from the Woi Wurrong language word ‘wurun’ meaning Manna Gum (Eucalyptus viminalis) which is common along the Yarra River, and ‘djeri’ the witchetty grub which is associated with these trees. 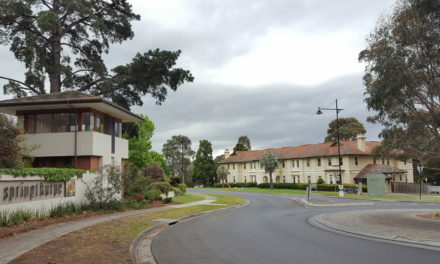 https://www.wurundjeri.com.au/our-story/ancestors-past/. Some of our local place names have Aboriginal origins. The head-man Billibellary was also called Jika Jika and he had a nephew called Keelbundoora. Prior to European settlement, Australia’s indigenous people were primarily nomadic, moving from place to place to hunt and gather  food. They had a deep understanding of the land, the seasons and the food sources. They would move around their lands, according to the seasons and what food sources were available at the time. It is now recognised  that they exerted considerable control over their environments using methods including grain harvesting and storage, fish and eel traps and some planting to ensure continuity of food supply. The practice of “firestick farming” – the burning of the undergrowth – opened up pasture lands and encouraged new growth, attracting game animals and making them easier to capture. The aboriginal calendar defines the seasons according to the changing availability of fish, animal and food-plant resources. When the Europeans arrived, aboriginal food sources included kangaroos, wallabies, bandicoots, possums, lizards and birds that were hunted with spears, boomerangs and stone axes. They exhibited sustainable practices, for example when harvesting plants, enough roots were left in the ground to produce new plants in the next season. When eggs were gathered from nests, some were left behind. Access to land and resources, such as the Birrarung (Yarra River), by other clans was sometimes restricted depending on the state of the resource in question. For example, if a river or creek had been fished regularly throughout the fishing season and fish supplies were down, fishing was limited by the clan who owned that resource until fish were given a chance to recover. During this time other resources were utilised for food. Australia’s aboriginal people ate a wide variety of foods and they were not dependent on a single food source. Their nomadic lifestyle was well-adapted to the changing environment, allowing them to move to areas where new foods could be found. 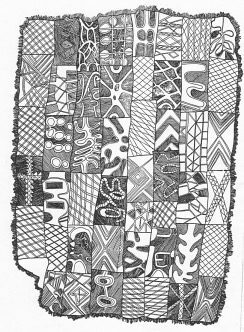 The Woi Wurrung people, as with other Kulin nations based their beliefs on the historic  Dreamtime. Traditions and religious values are based on reverence for the land. ‘The Dreaming is at once both the ancient time of creation and the present-day reality of Dreaming. There were a great many different groups, each with their own individual culture, belief structure, and language. These cultures overlapped to a greater or lesser extent and evolved over time’ https://en.wikipedia.org/wiki/Wurundjeri. Indigenous Victorians became aware of European travellers after noting various seafaring explorations which resulted in a British settlement at Sullivan Bay in 1803, near Sorrento, Victoria. 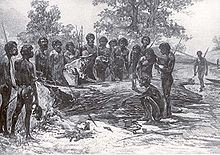 Charles Grimes’ surveying party which explored the Maribyrnong River and the Yarra River as far as Dights Falls in February 1803 reported apparent smallpox scars on several Aboriginal people they met, indicating that these people had been exposed to Europeans and the smallpox virus. Broome (2005) maintains that two epidemics of smallpox devastated the Kulin tribes in the 1790s and also around 1830. On 6 June 1835 John Batman met with elders of the Woi Wurrung people including Billibellary, who was from the Bundoora area. 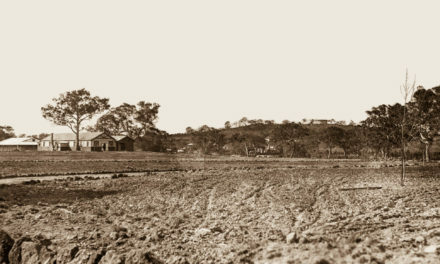 The meeting took place near Merri Creek and treaty documents were signed after exchanges of goods by both sides. For a purchase price including tomahawks, knives, scissors, flannel jackets, red shirts and a yearly tribute  of similar items, Batman obtained about 200,000 hectares (2,000 square km) around the Yarra River and to Corio Bay. The total value of the goods has been estimated at about £100 in the money of the day. In return the Woi Wurrung offered Batman’s group woven baskets with examples of their weapons and possum-skin cloaks. The treaty was significant as it was the only time when European settlers negotiated their occupation of Aboriginal lands. The Treaty was immediately renounced by Governor Richard Burke in Sydney under “terra nullius” i.e. the concept that there was no land owner before the British and that Aboriginal people could not assign their land. As early as 1843 Billibellary requested some of their land back, on which the Wurundjeri could re-settle. In 1852 the Woi Worrung gained a tract along the Yarra at  Warrandyte. These reserves were not permanent camps but acted as distribution depots where rations and blankets were distributed, with the intention being to keep the indigenous Australians away from the growing settlement of Melbourne. 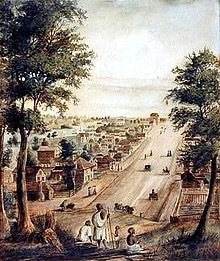 The Woi Wurrung and Bunwurrong people bore the brunt of the effects of British settlement in Melbourne from 1835 onwards, with the indigenous population declining rapidly. Many people were killed by diseases introduced by the Europeans. The birth rate also drastically declined for the Woi Wurrung as conditions were so poor for Aboriginal people (Woiwod, 2017). 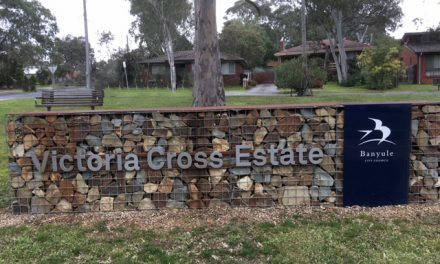 On the instructions of Charles La Trobe a Native Police Corps was established in 1842 based at Narre Warren, but later moved to Merri Creek and this continued until January 1853. The Wurundjeri elder Billibellary’s cooperation for the proposal was important for its success. His nephew William Barak also joined the Corps and they helped facilitate a primitive justice system, tracking fugitives and finding missing children. They became disillusioned with the need to arrest fellow indigenous people, however. By 1863 the Wurundjeri had been displaced by white settlement and been decimated by diseases such as measles, syphilis and smallpox. In 1863 the surviving members of the Wurundjeri and other Woi Wurrung tribes and speakers were allowed to occupy Coranderrk Station, near Healesville and Badger Creek. The Scottish lay preacher John Green was initially assigned to manage this reserve which became self-supporting. William Barak led numerous appeals and delegations to the Governor and members of Parliament to champion the running of Coranderrk. It was closed in 1924 and most of the occupants were moved to Lake Tyers in Gippsland (Woiwod, 2017). Woiwod, M (2017) Barak vs The Black Hats of Melbourne: the untold story of how the Black Hats destroyed Coranderrk. Published by the author.